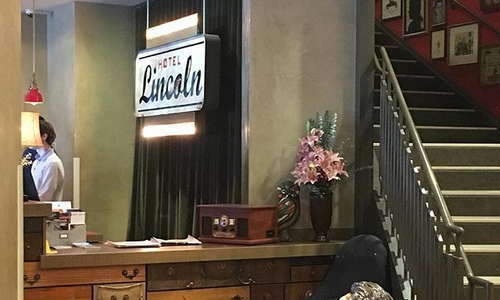 Across from Lincoln Park, this historic hotel's cool, kitschy vibe still feels authentic, thanks to details like the original Hotel Lincoln sign in the lobby. 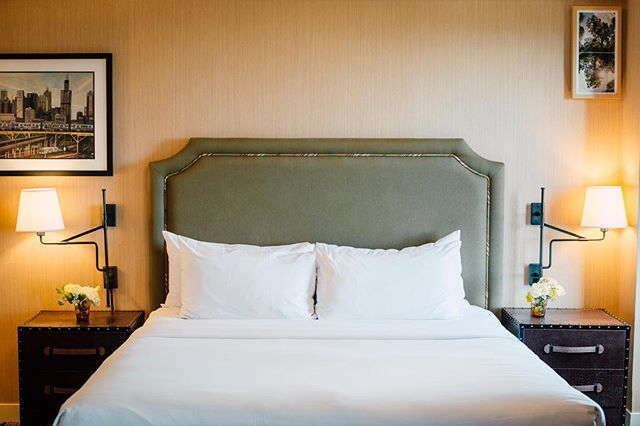 Guest rooms combine vintage and modern elements, including original art. 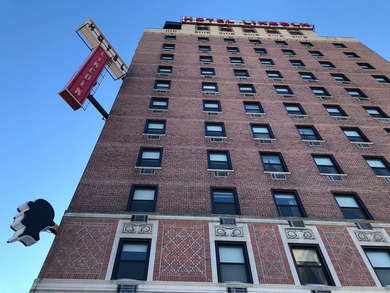 The hotel adjoins the Kennison (a restaurant) and the rooftop J. Parker flaunts some of the city's best views. Between May and October, head to Lincoln Park across the street for Green Market, where chefs shop for restaurant-quality produce. The market is on Wednesday and Saturday. A gallery wall of art along with a striped navy coverlet lend a preppy edge to each of the rooms. One-bedroom suites, a nice option for those traveling with kids, have two bathrooms, a king bed, and separate sleeping area with bunk beds. 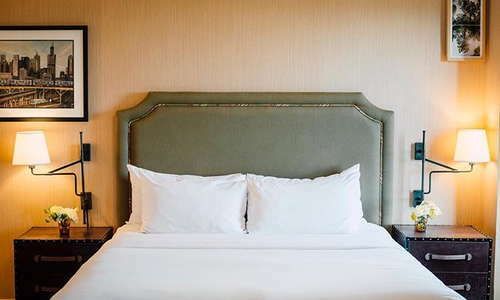 For the best views, ask for a room on the ninth floor or higher, facing east toward either the park or the lake. Leave extra room in your suitcase because you're going to want to stock up on the Jonathan Adler toiletries. 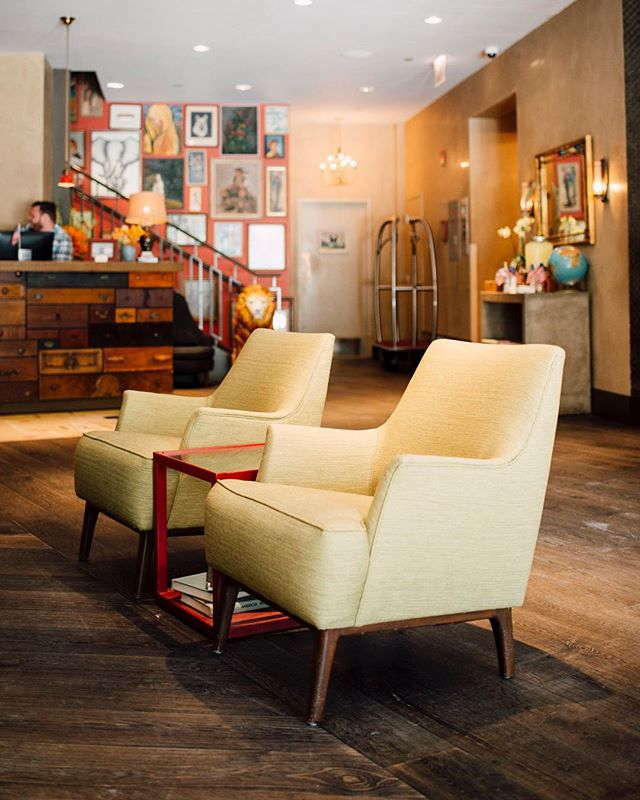 Small, but staffed with helpful employees, entering the lobby is like walking into your hip friend's apartment building. A bright-blue midcentury-style sofa is flanked by two leather club chairs, and wildly patterned carpet beneath. 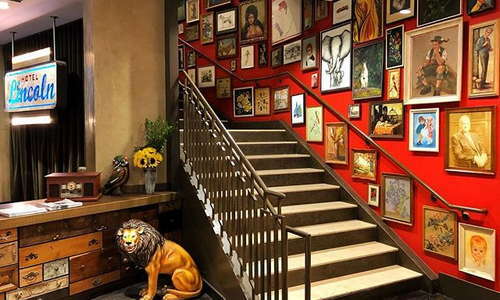 Hung on one wall are framed eclectic art and other visuals. Room not ready yet? Duck into the adjoining Elaine's Coffee Call for a cup of joe. There's a 24/7 fitness center on site. If it's nice out, you can rent a bicycle from the hotel at no cost. YOU SHOULD KNOW Yes, there's a gym at the hotel but if you want a deeper work-out, you'll have to plop down $25 for a day pass to the Equinox Fitness Center next door. The Kennison debuted in early 2018, open for weekend brunch and daily dinner, with many of the dishes born out of ingredients culled from the Green Market across the street. While technically a rooftop bar, J. Parker serves a food menu of snacks like fries, pickled Scotch eggs, and charcuterie and cheese platters. J. Parker tries to please all palates by offering glasses of wine, cans of craft beer and signature cocktails. An impressive wine list is at Kennison. Chicago's craft-beer scene is booming. Sample for yourself at J. Rooftop: beers from Revolution, Half Acre and Finch's are served. Nervous about being so far north of downtown? You're actually not that far. Uber and taxi drivers can whisk you downtown in 20 minutes or less. A word of warning in that the closest L stop is a 20-minute walk from the hotel. The #151 bus is a 30-minute trip south to the Loop, departing a block from the hotel. 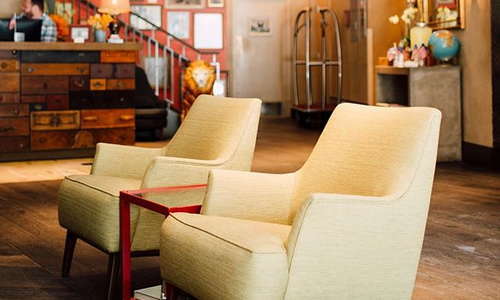 It's best to leave the car at home as valet parking runs $60 a night. Corcoran's (6-minute walk) is a neighborhood Irish pub in Old Town and across the street from The Second City Theatre, in case you need dinner before the show. Kids and anyone who craves a good burger will love R.J. Grunt's (7-minute walk), an institution since 1971. 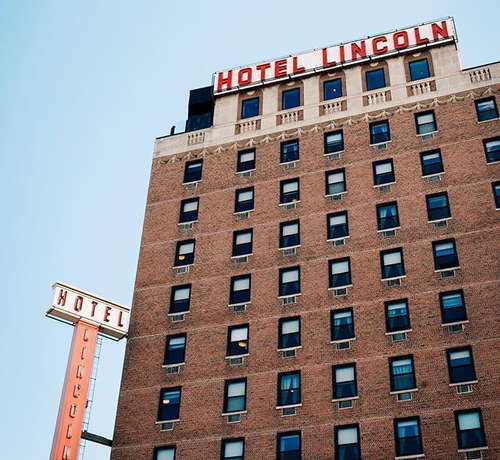 One reason trend-setting Chicagoans choose to live in Lincoln Park is the nightlife. There's no shortage of bars. Close to the hotel is Summer House Santa Monica (20-minute walk) is a new arrival, serving citrus-infused SoCal cocktails like Ricky Bobby (grapefruit, lime and strawberry). 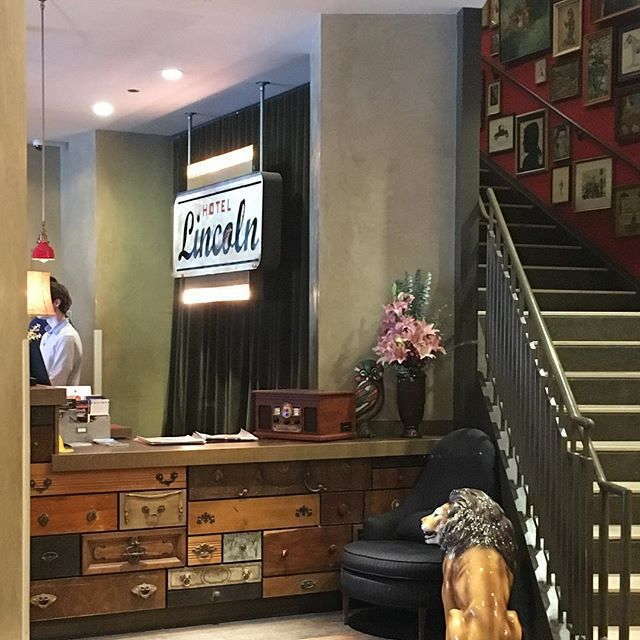 One of the city's first true boutique hotels when it opened in 2012, this Joie de Vivre property embodies all the reasons why Lincoln Park will never stop being cool. 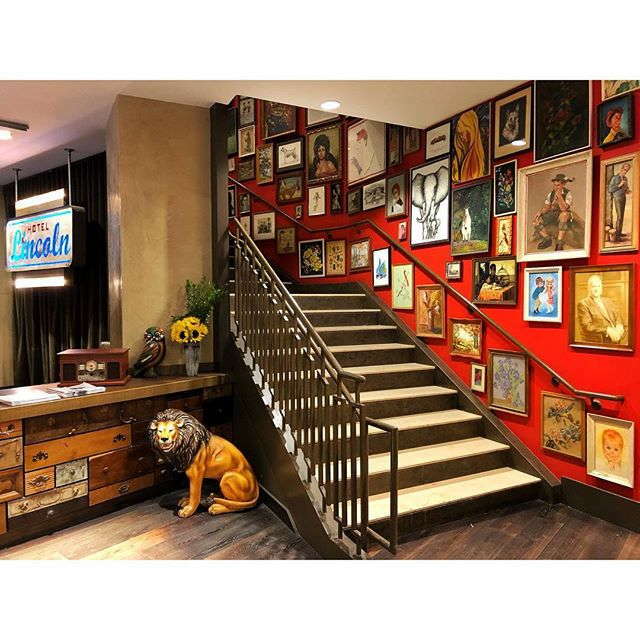 Eclectic and colorful design, friendly staff and that the hotel is in close proximity to gorgeous walking spots plus bars and restaurants, practically eliminate the need to go downtown. There's also a lot to do back at the hotel, including the restaurant, coffee shop and rooftop bar.